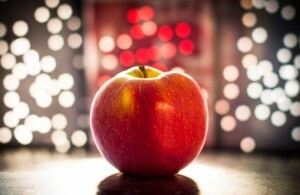 You are here: Home / Healthy Living / Avoid These 7 Foods for a Healthier New Year! Avoid These 7 Foods for a Healthier New Year! Most food nowadays is far from pure. Between pesticides, fungicides, food additives, chemicals from packaging, and more – the average American diet is loaded with harmful substances. In fact, according to a study by the Environmental Working Group, there are 287 toxins already present in the average newborn’s blood. Cut these 7 foods from your diet in 2016 to limit your exposure to toxins.